Living near Idaho Falls, Idaho, there aren’t a lot of things to do. We at The Group Real Estate love talking about the things we love doing! The mountains are beautiful, the hiking is wonderful, the outdoors ATV driving is great, the hunting is awesome, and fishing is great. Growing up, we did some camping, here and there, and I loved to go out ground squirrel hunting. I would play a lot of basketball growing up, as well. We had a great makeshift basketball hoop that I spent hours, and hours on, day in and day out. One of the main things I loved growing up, though, was getting more and more into movies. I was raised on the Star Wars trilogy, Star Trek series’, Back to the Future, Indiana Jones, and a lot of cartoons. This brings me to the idea of watching a series, or series’, in one day. There are always the times that we love binge watching a new TV show that hits Netflix or Hulu, we love to go for it in a weekend. More often than not, these shows go for about 13 episodes or more. Some people do love, or have time to do so, to watch the entire series in one day, or through one weekend. They go through the whole thing, as they go to work on the following Monday already to talk heavily about what they had just watched. 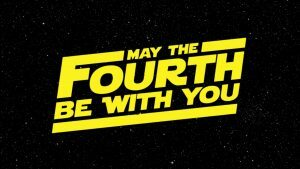 When May the 4th hits, it has been labeled as “Star Wars Day”, due the notion of “May the 4th Be With You.” This is a day to go to town watching Star Wars. With Rogue One and The Force Awakens now out, this brings us to 8 movies that are just over 2 hours long, bringing the grand total to 16 hours. Meaning you need to wake up really early, get a start on the movies, and you will be pulling a late night. Or, you can go with the original trilogy, which most love, and its easy to now add Force Awakens to this. This brings it to just over 8 hours for your day. If you want to throw in Rogue One as a prequel, you are at 10 hours. This is a long day again. 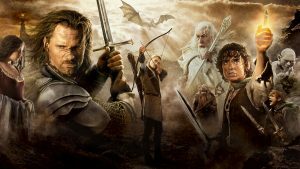 The reason I bring up the idea of hours in a day to watch this, is if you decide to go with the much more heavily emotion driven Lord of the Rings trilogy, and you go withe extended editions, you are looking at almost 13 hours. 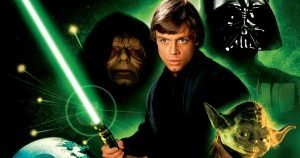 Which is more, for 3 movies than it is to watch 6 Star Wars movies in one day. So, as far as knowing what to watch, why to watch it, and when to watch it, we can look at the differences in all the series’ that can be watched in one day, or even one weekend. We have things that truly run as a nostalgic factor for us. There are some that we may need an emotional recharge from. And there are some that are so fun to watch with a bunch of people. Nostalgia is truly brought on from series’ that we grew up with, or ones that help us keep the true nostalgic feeling. These range from Star Wars, to Indiana Jones, to Back to the Future. Not only are they great pieces of film, but they are what we grew up with. We get to have the feels of being enlightened, excited, and happy. All at the same time. My go to is always Star Wars. Now, I’ve seen them all so many times, that I have gone so many ways I have watched them. When it is a series you have seen many times, you will have enjoyment watching them over and over. This is where something like Lord of the Rings comes in to play. The emotional weight, and length, of these movies are not to be taken lightly. The way they end, the power that resonates from them, causes a different type of sadness, altogether, when you are finished watching them. The nostalgic feeling is a much different feeling. You are saddened, sure, but the excitement stays with you and you can’t wait to watch them all again. But with Lord of the Rings, you watch them, feel the emotions, then know that you probably won’t do this again for a year, or more. This can be said with anything out there. Some cartoons we may have watched growing up, we will get a great feeling of happiness, sadness, excitement, nostalgic feels, etc. It’s so nice to have movies or shows that truly resonate with us, that give us happy type feelings, and even give us sadness at times. Knowing that we have a medium out there that can give us the needed feelings for all our senses (even taste, as we eat our favorite treats or foods when we binge) is an awesome thing. So, the next time you look for something to binge, whether it be a show, a cartoon, or a series of movies, I hope that you take all of these into factor. The feelings you will garner for the experience.